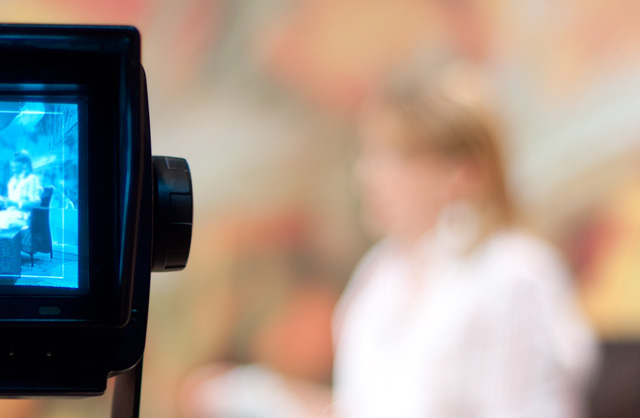 Before you begin the process of recording your first video to promote your business and services, you need to invest in a video studio that is set up and equipped to meet your specific needs. It’s important that you take time to plan carefully and analyze the videos you want to be like to see what does and does not work, or your final video marketing plan may suffer because of it. Reviewing other videos that are successful and looking at what others in your field are doing with their videos and their studios can be a great way to begin planning. Once you have a clear idea of what you want to do, you can then begin the process of building your dream video studio and start producing high quality, profit-earning corporate videos. You’ll have to make sure you have all of the equipment you need to make your videos. Don’t try to cut budget here. If you have any wiggle room or extra money you can invest into the video studio this is the place to do it! Your videos can only be as good as the equipment you use to make them. Buy the best cameras and sound equipment that you can. Set up the studio with the top of the time backdrops, props, and equipment possible. It may hurt your wallet right now but you can more than make back your investment by generating more traffic to your site and generating more sales with top notch videos. This is especially important if you are making animated videos- as they need high quality images- or if you are looking to make explainer videos- as they need to be of the best clarity in vido and sound. Without having the right lighting set up, your videos will not be as powerful as they could be and will not wow the viewers. Make sure you pay attention to things like light balance, shadows, glare, and other effects that can result from lighting issues. Anything that could become a distraction to the viewer should be eliminated. Watch for stray shadows, changes in lighting, and other issues that could arise. Adjust lighting, move things around, raise or lower light levels, and keep at it until you find the perfect balance. Remember- you’ll need to make these adjustments for every video you shoot; what worked for one video might not be the best for another. When making web videos is it also important to remember that the smalles thing can cause a major distraction to your viewers so make sure to remove or reduce distractions as much as possible. When working with film and TV videos, you also need to keep in mind what your background looks like. If you’re using props, make sure the background makes them pop and stand out. Stay with solid backgrounds in neutral colors such as black, white, grey, and tan because they will not distract your viewers from what you are trying to show them in the video. If you need a whiteboard for your videos, you have two basic options for a background. For a tight budget you can film your videos against an actual whiteboard. Money not an issue? Then you can look at painting one wall of your video studio so it;’s a whiteboard and film your videos against that. Whatever background you use, make sure it compliments your video. With these points in mind, you are well on your way to creating your own video studio and making amazing videos that promote your business to the entire world!